On November 6, college football celebrates its 148th birthday! 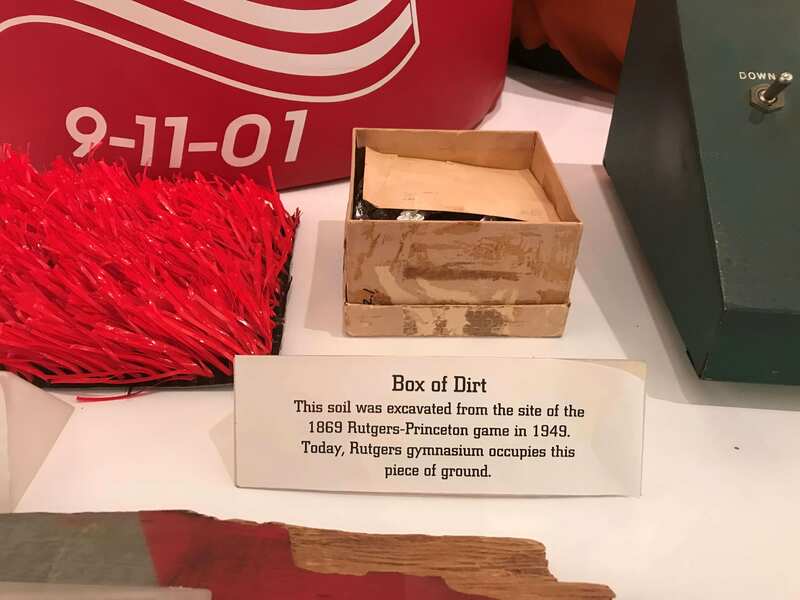 That first game was held in New Brunswick, New Jersey on the campus of Rutgers University. The game today has little if any similarities to the game that is played today. Perhaps no sport in American society has witnessed as many evolutionary changes as football. Almost every single aspect of the game was different. Starting from the shape of the ball, the means of scoring, and even the size of the field have little in common with the game today. Football-like games started to be played at eastern Ivy League colleges and universities since the early 1800’s. The actual teams were decided by class. For example, the freshman class annually challenged the sophomores. The game became so popular that eventually the game became known as “Bloody Monday”. Other teams were chosen by where your name fell in the alphabet! For instance, students with names from the first half of the alphabet would take on those with last names commencing with the letters N-Z. As the name “Bloody Monday” can attest, the game was much rougher than what we witness today. At times university administrators would banish the annual games. However, the practice of playing football would resume. In 1860, Harvard students held a funeral and burial for a football after one administration banishment! The first game on November 6 was scheduled to begin at 3PM. However, the athletic contest was just one event of a day that also included a post-game meal that was attended by members of both teams. Each team placed 25 men on the field that day. Yard lines, line of scrimmage, end zones, touchdowns and running with the ball did not yet exist. The game had one main objective back then. Fight for possession of the ball. The teams employed two players called “captains of the enemy goal” who would position themselves in front of the opponent’s goal. Half of the remaining players played a zone like defense and were called “fielders.” The rest of the team followed the ball up and down the field and were called “bulldogs.” Although the game looked more like European soccer, players could catch a ball in mid-air, bat it down with one’s hand and block out an opponent. Rutgers scored the first ever intercollegiate football goal five minutes into the contest as a few hundred fans who surrounded the field. Princeton tied the game at one as the teams continued to trade score. With the score tied 2-2, Rutgers scored twice to take a 4-2 edge. At this point in the game the ball came up against the split rail fence that surrounded the field. As the players contested for the ball, some collided with the fence knocking it down along with the fence-sitting spectators. Princeton rallied to tie the score at 4-4 with one goal aided by a Rutgers player who mistakenly kicked the ball toward his own goal. The name of the player who was responsible for the game’s first “blooper” is unknown. But Rutgers recovered, and scored twice more ending the game with the required six goals needed to claim victory!